Clulow is on a quest to write perfect tunes to fill ears in succinct moments. Whether it be laying down grooves at a doof, writing heart warming pop, a score for a film or a soundscape for relaxation and meditation, all of Clulow's tunes have that something to pull the listener in. 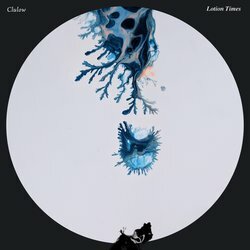 Clulow's latest release 'Lotion Times' is the eccentric cousin of his previous release 'Ocean Times'. 'Lotion Times' is mathy mid-tempo house for the adventurous DJ. Built to be mixed into an arvo or warmup set and best enjoyed outdoors. Clulow second EP – the heart warming and smooth 'Ocean Times' is a record to be played when you need cheering up or want to roll your way into the day. By turns lush, rolling, joyful, with straight forward lyrics over injections of technical skill, this is perhaps his most heart on sleeve work to date; reflecting his thoughts on the lifts and drops of love. Clulow continues to play live in the Sydney warehouse scene and also composes scores for film. Clulow composed the score for the film 'Late Moves' which took out the best national film award at the 2017 Canberra Short Film Festival. A swearler and a pearler. With a rolling bass line and techy flavours around the edges, this number starts you off with potentially the smoothest of guitar licks to ever come out of your speakers. A progressive synth solo is featured in the middle to get you ready to bask in the crescendo at the tail end of the track.